Nelson, A. D., Rosiere, R., Gamez, K., and Lowey, K. 2018. Composition of a hardwood bottomland forest on the Colorado River in the Lampasas Cut Plain of Texas. Phytologia 100: 129-144. Wiegreffe, W. W., A. D. Nelson, J. Miller. 2017. County records and major range extensionsfor West Cross Timbers Angiosperms in Palo Pinto Mountains State Park, Palo Pinto and Stephens counties, Texas. Texas Journal of Science 69: 1-26. Nelson. A. D. and S. Kieschnick. 2016. A comparison of a walnut limestone glade and peripheral barren habitats for Dalea reverchonii (Fabaceae). Journal of the Botanical Research institute of Texas 10(2): 605-610. Goetze, J. R., A. D. Nelson, L. L. Choate. 2016. Comparison of pasturelands containing Texas kangaroo rat (Dipodomys elator) burrows to adjacent roadsides in Wichita County, Texas, with comments on road usage by D. elator. Special Publications Museum Texas Tech University. 65: 225-231. Gamez, K. M., A. D. Nelson, A. K. Lowey, and R. Rosiere. 2016. Angiosperm and fern range extensions for Mills County, Texas. Texas Journal of Science 68: 47-54. Nelson, A. D. J. R. Goetze, and K. Smith. 2016. Range extensions and county records for vascular plants from Mills County, Texas. Texas Journal of Science 68: 23-30. Harveson, R. M., Nelson, A., Mathew, F. M., and Seiler, G. J. 2015. First report of Orobanche ludoviciana parasitizing sunflowers. Plant Health Progress 16: 216. Goetze, J. R., A. D. Nelson, D. Breed, P. D. Sudman, M. A. Nelson, and E. Watson. 2015. Texas kangaroo rat (Dipodomys elator) surveys in Copper Breaks state park and surrounding areas in Hardeman County, Texas. Texas Journal of Science 67: 39-48. Nelson. A. D., J. R. Goetze, and A. E. Vasquez. 2014. Range extensions and county records for angiosperms from Kenedy County, Texas. Texas Journal of Science 65: 1-5. Rosiere, R. E., A. D. Nelson, and L.P. Cowley 2013. Composition and structure of a mixed-hardwood bottomland forest in the West Cross Timbers of North-central Texas. The Southwestern Naturalist. 58: 81-90. Brister, J. S. and A. D. Nelson. 2012. Vegetative ecology of natural and constructed wetlands along the Leon River in Comanche County, Texas. Texas Journal of Science. 64: 103-128. Nelson, A. D. and S. Burgess. 2011. Notes on the flora of Somervell County, Texas with additions and significant range extensions. Texas Journal of Science. 63: 299-309. Nelson, A. D., H. Rathburn, and C. Rosson. 2011. Range extensions and county records for angiosperms from Palo Pinto County, Texas. Texas Journal of Science. 63: 221-230. Nelson, A. D. and J. R. Goetze. 2010. Hydroballochory in two Texas species of Skullcap (Scutellaria drummondii, S. wrightii; Lamiaceae) Texas Journal of Science. Texas Journal of Science. 62: 263-270. Harsley, S. and A. D. Nelson. 2010. County records and major range extensions for West Cross Timbers’ angiosperms from Hunewell Ranch in Erath County, Texas. Texas Journal of Science. 62: 111-126. Stasey W. C., J. R. Goetze, P. D. Sudman, and A. D. Nelson. 2010. Occurrence of the Texas kangaroo rat in two different habitats in Wichita County, Texas. Texas Journal of Science. 62: 3-14. Nelson, A, D. 2010. Environmental Education and Ecology in a Life Science Course for Preservice K-8 Teachers Using Project Wildlife in Learning Design. The American Biology Teacher. 72(3): 156-160. Nelson, A. D. , J. R. Goetze, E. Watson, and Mark Nelson. 2009. Changes in vegetation patterns and its effect on Texas kangaroo rats (Dipodomys elator). Texas Journal of Science. 61: 119-130. Goetze, J. R., A. D. Nelson, & C. Stasey. 2008. Notes on behavior of the Texas kangaroo rat (Dipodomys elator). Texas Journal of Science 60: 309-316. Nelson, A. D. and J. R. Goetze. 2008. Notable county records for rolling plains angiosperms of north central Texas. Texas Journal of Science. 60: 113-128. Goetze, J., W. C. Stasey, A. D. Nelson, and P. D. Sudman. 2007. Habitat attributes and population size of Texas kangaroo rats on an intensely grazed pasture in Wichita County, Texas. Texas Journal of Science. 59: 11-22. Nelson, A. D., M. Samuel, J. Tucker, C. Jackson, and A. Stahlecker-Roberson. 2006. Assessment of genetic diversity and sectional boundaries in tetraploid peanuts (Arachis). Peanut Science. 33: 64-67. McPhail S., and A. D. Nelson. 2005. Range extensions and county records from the southwestern Cross Timbers in Eastland County, Texas. Texas Journal of Science. 57: 211-222. Nelson, A. 2005. Castilleja. p. 229. IN: Tyrl, R.J., S.C. Barber, P. Buck, W.J. Elisens, J.R. Estes, P. Folley, L.K. Magrath, C.E.S. Taylor, and R.A. Thompson. Identification of Oklahoma Plants. Flora Oklahoma Inc., Noble, Oklahoma. Nelson, A. D. and J. R. Goetze. 2004. Modeling protein folding and applying it to a relevant activity. The American Biology Teacher. 67: 265-267. Goetze, J. R., P. D. Sudman, and A. D. Nelson. 2004. Noteworthy records of mammals from Erath County, Texas. Occasional Papers the Museum, Texas Tech University. 234: 1-6. Goetze, J. R. and A. D. Nelson. 2004. Distributional records of mammals from the Southern Cross-Timbers of Texas. Occasional Papers the Museum, Texas Tech University. 233: 1-4. Goetze, J. R., A. D. Nelson, and P. D. Sudman. 2003. Noteworthy records of bats from Central and South Texas. Texas Journal of Science 55(4): 365-367. Negrete, I. G., C. Galloway, and A. D. Nelson. 2002. Noteworthy plants associated with the Gulf Coastal Bend of Texas. Texas Journal of Science 54: 241-248. Nelson, A. D., J. R. Goetze, A. Lucksinger 2001. A comparison of the flora of northern Padre Island to that of Matagorda Island, Mustang Island, and southern Padre Island, Texas. Occasional Papers. Museum of Texas Tech University 209: 1-23. Nelson, A. D., and W. J. Elisens. 1999. Polyploid evolution and biogeography in Chelone (Scrophulariaceae): morphological and isozyme evidence. American Journal of Botany. 86: 1487-1501. Negrete, I. G. , A. D. Nelson, J. Goetze, L. Macke, T. Wilburn, and A. Day. 1999. A checklist for the vascular plants of Padre Island National Seashore. SIDA 18: 1241-1259. Goetze, J., A. D. Nelson, and V. French. 1999. Community relationships of some small mammals on Padre Island National Seashore, Texas. Occasional Papers, Museum of Texas Tech University. 189: 1-8. Goetze, J. R. and A. D. Nelson. 1998. Noteworthy records of mammals from Central and South Texas. Texas Journal of Science. 50: 255-258. Nelson A. D. and R. M. Di Liddo. 1997. Instructors Manual and Test Item File to Accompany Botany, 2nd ed. Dubuque, Iowa: William C. Brown Publishers. 307 pp. Nelson, A. D. 1995. Polyploid Evolution in Chelone. Ph. D. dissertation, University of Oklahoma. Norman. 239 pp. Nelson, A. D. 2018. Review of the Biomedical Science BS degree at Tarleton State University (TSU). Report submitted to Provost, TSU. 50 pp. 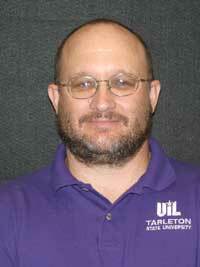 Nelson, A. D. 2018. Review of the Biology BS degree at Tarleton State University (TSU). Report submitted to Provost, TSU. 51 pp. Nelson, A. D. 2018. Review of the Biology MS degree at Tarleton State University (TSU). Report submitted to Provost, TSU. 50 pp. Nelson. A. D. 2015. The walnut family. The Reverchon Naturalist 31: 6. Nelson, A. D., J. R. Goetze, S. Henderson, and B. Scoggins. 2013. Status Survey for the Texas Kangaroo Rat (Dipodomys elator). Report submitted to Texas Parks and Wildlife Department. 49 pp. Jim R. Goetze, Allan D. Nelson, Danielle Breed, Philip D. Sudman, Mark A. Nelson, and Elizabeth Watson. 2011. Dipodomys elator Near Copper Breaks State Park, Hardeman County, Texas. Report submitted to Copper Breaks State Park. Quanah, TX. 16 pp. Nelson, A. D. and J. R. Goetze 2010. Raindrop seed dispersal in Wright’s Skullcap (Scutellaria wrightii; Lamiaceae). The Reverchon Naturalist 2: 1. Nelson, A. D. 2006. Sigma Xi, The Scientific Research Society Chapter Annual Report 2007, 7pp. Nelson, A. D. 2006. Review of the Department of Biological Sciences at Texas A&M University Texarkana (TAMUT). TAMUT Review Committee, Texarkana, Texas, 12pp. Nelson, A.D. 2005. Field Experience for Students in Biol 2103 at Tarleton and a Summary of the Development of a Life Science Course for Pre-Service Elementary and Middle School Teachers. Texas Collaborative for Excellence in Teacher Preparation, Corpus Christi, Texas, 8 pp. Nelson, A. D. 2002. Providing Project WILD Training for Post-Service Teachers in North Central Texas. Texas Collaborative for Excellence in Teacher Preparation, Corpus Christi, Texas, 3 pp. Nelson, A. D. and H. Rathburn. 2002. Screening wild plants and related hay crops for drought resistant genes. Annual report to V. H. McNutt Memorial Foundation. 32 pp. Nelson, A. D., J. Goetze, I. Negrete, L. Macke, T. Wilburn, A. Day, and A. Lucksinger. 2000. A floristic survey of Padre Island National Seashore, Texas with comparisons to other barrier islands along the Texas Coast. Padre Island National Seashore, Corpus Christi, Texas. 100 pp. Nelson, A. D. and J. Goetze. 1998. A floristic survey of Padre Island National Seashore, Texas with comparisons to other barrier islands along the Texas Coast. U. S. National Park Service Annual Report. 1 p.
Nelson, A. D. 1997. Examination of hybridization in three species of Leucophyllum that are sympatric in Big Bend National Park, Texas. P. 8 in 1997 Research and Resource Management Newsletter. Big Bend National Park, Texas: National Park Service. 1 p.
Johnson, F. L., R. Rudman, R. A. Thompson, A. D. Nelson, J. R. Estes, G. D. Schnell, and G. W. Larsen. 1991. Floral inventory of Fort McCoy, Wisconsin. Army Construction Engineering Research Laboratory, Champaign, Illinois. 83 pp. Nelson, A. D., T. Cotton, and R. Rosiere. 2018. Comparison of plants in 15 Texas river bottomlands and its implication for ecological restoration. Texas Plant Conservation Conference. Cotton, T & A. D. Nelson. 2017. Floristic county records and major range extensions for vascular plants from Erath county, Texas with a comparison of woody plants surveyed from the Bosque river to other Texas rivers. Southwestern Association of Naturalists. Cotton, T & A. D. Nelson. 2017. Floristic county records and major range extensions for vascular plants from Erath county, Texas. Annual Meeting of the Texas Academy of Science. Nelson, A. D. & S. R. Kieschnick. 2016. Habitat preferences for Comanche Peak Prairie Clover (Dalea reverchonnii; Fabaceae) a rare North Central Texas endemic. Annual Meeting of the Texas Academy of Science. Sudman, P. Higgins, C, and A.D. Nelson, J. Giocomo, W. Wiegreffe, 2015. Territorial aspects for the painted bunting (Passerina Ciris) in the Texas Cross Timbers. Southwestern Association of Naturalists. K. Lowey, K. Hogan, and A. D. Nelson. 2015. Comparison of bottomland forest along the Texas Colorado River to Cross Timbers and Edwards plateau bottomland forests. 51st Annual meeting of the Texas Chapter of the Wildlife Society. Hogan, K., K. Lowey, and A. D. Nelson. 2014. Composition of a bottomland forest along the Colorado River in North-Central Texas. 2014 Texas Plant Conservation Conference. Nelson, A. D., J. R. Goetze, J. S. Henderson, M. Nelson, B. Scoggins, & E. Watson. 2014. Vegetation associated with Texas kangaroo rat (Dipodomys elator) burrows in Wichita County, Texas. 2014 Texas Plant Conservation Conference. A. D. Nelson, S. Kieschnick, J. Goetze, R. O’Kennon. 2013. Comanche Peak prairie clover (Dalea reverchonii), a rare limestone glade endemic from North Central Texas. 115th Annual Meeting of the Texas Academy of Science (TAS). A. D. Nelson, J. R. Goetze, R. Nelson. 2012. The effects of drought and record high temperatures on Texas Kangaroo Rats in Wichita County, Texas. 114th Annual Meeting of the TAS. Kieschnick, S., A. D. Nelson, D. Hancock, J. Goetze, S. Harsley, R. Nelson, an R. O’Kennon. 2011. A comparison of numbers, size, flowering stems, flowering heads, associated species, richness, and coverage of Dalea reverchonii found on walnut limestone barrens and glades. Southwestern Association of Naturalists. Kieschnick, S., A. D. Nelson, D. Hancock, J. Goetze, S. Harsley, R. Nelson, an R. O’Kennon. 2010. A comparison of numbers, size, flowering stems, flowering heads, associated species, richness, and coverage of Dalea reverchonii found on walnut limestone barrens and glades. 10th Annual Texas Native Plant Conservation Alliance Meeting. Nelson A. D., S. Kieschnick, D. Hancock, D. Parotta, S. Tuttle, S. Harsley, R. Nelson, an R. O’Kennon. 2010. North Texas Plant Conservation Alliance: Goals, 2010 project, and future projects. 10th Annual Texas Native Plant Conservation Alliance Meeting. Nelson, A. D., Jim R. Goetze, Elizabeth Watson, and Mark Nelson. 2010. The effects of grazing on Texas kangaroo rats in Wichita County, Texas. 113th Annual Meeting of the Texas Academy of Science (TAS). Cowley, L. P., S. Harsley, A. D. Nelson 2010. A preliminary flora of Hunewell Ranch, Erath County, Texas. 113th Annual Meeting of the TAS. Cowley, L. P., S. Harsley, A. D. Nelson 2009. A preliminary flora of Hunewell Ranch, Erath County, Texas. Seventh Annual TAMU System Pathways Student Research Symposium. A. D. Nelson and J. R. Goetze 2009. Changes in vegetation patterns and its effect on Texas kangaroo rats (Dipodomys elator). 112th Annual Meeting of the TAS. Harsley, S. E. and A. D. Nelson. 2008. Notable range extensions and records of vascular plant species from Erath County, Texas. Sixth Annual TAMU System Pathways Student Research Symposium. Watson, E., M. A. Nelson, J. R. Goetze, and A. D. Nelson. 2008. An analysis of the ecological preferences of the Texas kangaroo rat. 26th Annual Meeting of the Texas Society of Mammalogists. Harsley, S. E. and A. D. Nelson. 2007. A flora of the vascular plants of Erath County, Texas. Fifth Annual TAMU System Pathways Student Research Symposium. Nelson, M. A., E. Watson, A. D. Nelson, and J. R. Goetze. 2007. Using AFLP to examine genetic diversity in the Texas kangaroo rat. Fifth Annual TAMU System Pathways Student Research Symposium. Watson, E., M. A. Nelson, J. R. Goetze, and A. D. Nelson. 2007. Comparison of ecological preferences for the Texas kangaroo rat. Fifth Annual TAMU System Pathways Student Research Symposium. Harsley, S. E. and A. D. Nelson. 2007. A flora of the vascular plants of Erath County, Texas. Southwestern Association of Naturalists. Stasey, W. C., P. D. Sudman, J. R. Goetze, A. D. Nelson, R. D. Wittie. 2007. Evaluation of Texas Kangaroo Rat: Habitat and population estimation. Southwestern Association of Naturalists. Brister, J. S. and A. D. Nelson. 2006. Soils, hydrology, vegetative ecology, and floristics of natural and constructed wetlands along the Leon River in the West Cross Timbers, Comanche Co., Texas. 109th Annual Meeting of the TAS. Barham, K., J. W. Priest, and A. D. Nelson. 2006. Heart Rate Variability of Active and Inactive Athletes During Rest and Stress. 53rd Annual meeting of the American College of Sports Medicine. Brister, J. S. and A. D. Nelson. 2005. Hydrology, soils, ecology, and floristics of natural and constructed wetlands along the Leon River in the West Cross Timbers, Comanche Co., Texas. Third Annual TAMUS Pathways Student Research Symposium. Brister, J. S. and A. D. Nelson. 2005. Hydrology, soils, ecology, and floristics of natural and constructed wetlands along the Leon River in the West Cross Timbers, Comanche Co., Texas. Southwestern Association of Naturalists. My current research interests are in plant conservation, bottomland forest ecology, and floristics of the Cross Timbers of Texas. My personal interests include Dorper sheep, Jack Russell Terriers, and fishing.